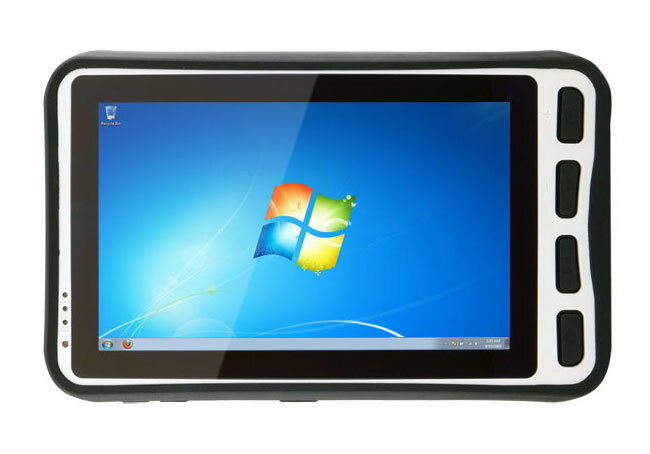 The new Winmate M700D rugged Windows 7 tablet which was first unveiled back in CES at the beginning of the year, has now made its way through the FCC. Indicating that the Winmate M700D Windows 7 tablet could be arriving in stores very soon. The Winmate M700D is equipped with a 7 inch, 1024 x 600 resolution screen and has been designed to run a full retail version of Windows 7. The Winmate M700D is powered by an Intel Atom N2600 processor supported by 2GB of RAM and can be equipped with a range of storage options including a 32GB or 128GB solid state disk (SSD). Other features of the Winmate M700D include 802.11b/g/n WiFi, 3G and GPS, Bluetooth 2.1 connectivity, with USB 2.0 port, microSD card slot, and headset jack. Unfortunately no information on pricing has been released as yet for the Winmate M700D, but as soon as information comes to light we will keep you updated as always.